At 2:00 p.m. 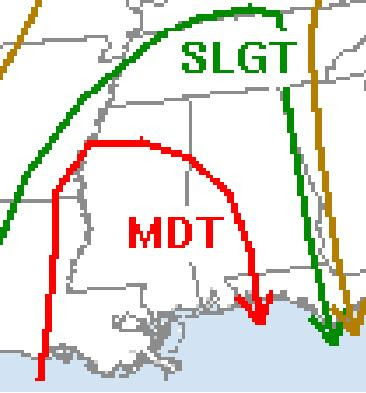 The SPC updated the moderate risk area to include much of southern and western Alabama, all of Mississippi and eastern Louisiana. A tornado watch is also in effect until 11 p.m. for practically all of Mississippi. Numerous tornado warnings have been issued in South Mississippi. 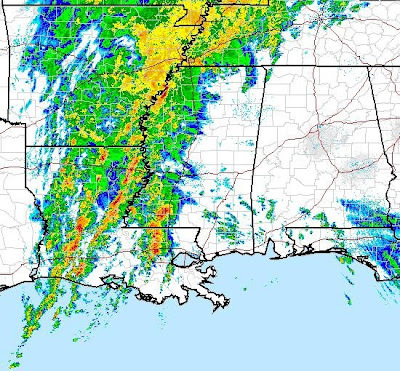 Severe weather will be approaching West Alabama by around 10 or 11 p.m. this evening. LEADING EDGE OF THE SQUALL LINE.